While I was sipping my Starbucks coffee this morning, I began to ponder the actual benefits it has (in particular when it’s incorporated into skincare). Yes, coffee is usually associated with waking people up in the morning, but it can also perk up your skin. The caffeine in coffee has a number of benefits for your skin, from treating redness and inflammation, to reducing the appearance of under-eye circles, to getting rid of cellulite. 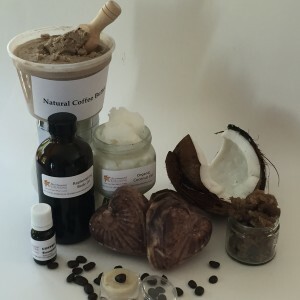 By incorporating caffeine into your skin care routine, you can reveal evenly toned, smooth skin all over your body. Additionally, coffee essential oil contains anti-aging properties and is a great additive to body scrubs for exfoliating and over-all toning the skin! Plus – my personal favorite is my ‘coffee n’ cream’ soap*. So watch for the new “Caffeine Skincare Routine” class this fall! I’m excited already! *Check the website for upcoming Soap Making, Pure & Simple class and in class, receive a recipe for this fabulous and fun soap bar! So you’re with child! Congrats! 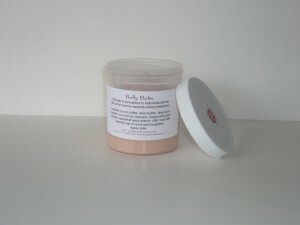 I know the Bliss Body Butter is heavenly and we all love to slather it on our body. However, during the first trimester (and 2nd too), its best to eliminate essential oils from your body care line. As I always say…….’when in doubt, keep them out’. The majority of essential oils have emmenagogue properties which stimulate the uterus and basically, bring on the baby! This, of course, is something we do not welcome at this early stage. This balm is packed with vitamin-rich nut oils, butters galore, and infused hibiscus with aloe especially formulated to help lubricate the skin as the tummy expands during pregnancy. Scented delicately with neroli and tangerine essential oils as these oils are safe for use during pregnancy and are great for skin elasticity. Apply regularly to help prevent stretch marks.